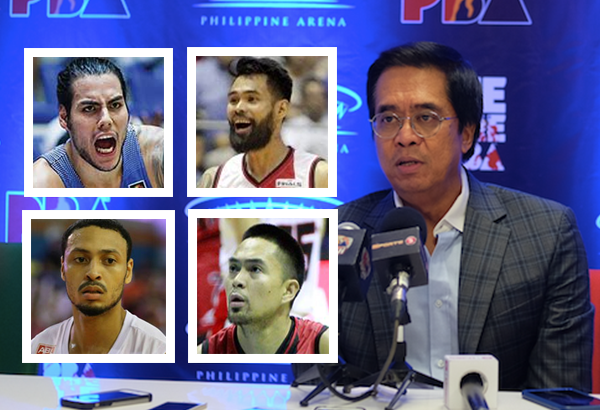 MANILA, Philippines - Few days after the 2017 Rookie Draft, the PBA is once again in the midst of a controversy that resulted to Commissioner Chito Narvasa’s outage on Thursday, November 2, 2017. Majority of the PBA Board of Governors, headed by Incoming Chairman Mon Fernandez of NLEX bared to the media that they have convened and will no longer support the league’s head honcho’s term renewal. Together with 6 more Governors from TNT Katropa, Meralco Bolts, Alaska Aces, Rain Or Shine Elasto Painters and Blackwater Elite they gathered together today for an emergency board meeting to talk about various issues in the league. One of the main concerns is the Commissioner’s nod on San Miguel Beer and Kia Picanto trade where the Beermen acquired the 1st round pick in exchange for 3 benchwarmers and a future pick. The SMC Group Team Governors along with allied teams: Globalport Batang Pier and Pia Picanto were absent in the meeting. As per PBA bylaws, it will take two-thirds of a vote to expel any league official. Although majority of the board voted for non-renewal of the Commissioner’s term, it doesn’t mean that Narvasa is removed from his post because it takes 8 votes to discharge Narvasa from his duty. With only 7 votes, Narvasa will be able to finish his term for the 42nd season. PBA Season 43 opens in a month and that’s the only time where Commissioner Narvasa will vacate his post. In the interim, Deputy Commissioner Ricky Santos will be the officer-in-charge until the board elects the new Commissioner with at least 8 or two-thirds of total votes.